Only a few more days until it is “officially” autumn, but for me, it’s time to get the totes of fall decorations out of the attic. When the season finally does arrive, I just want to sit back and enjoy it! 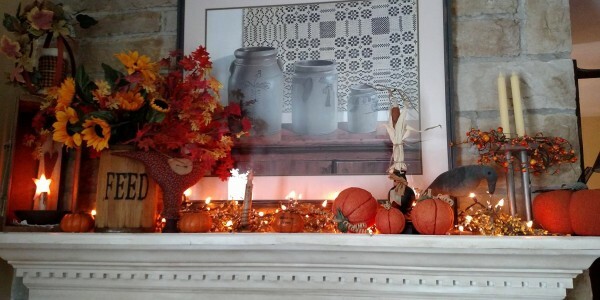 And, it’s my first year to decorate for fall in our new home. There have been so many things to share with you as far as the transformation of our home and some of the remodeling projects we’ve done over the past several months, I don’t even know where to start, but that’s another blog for another time. 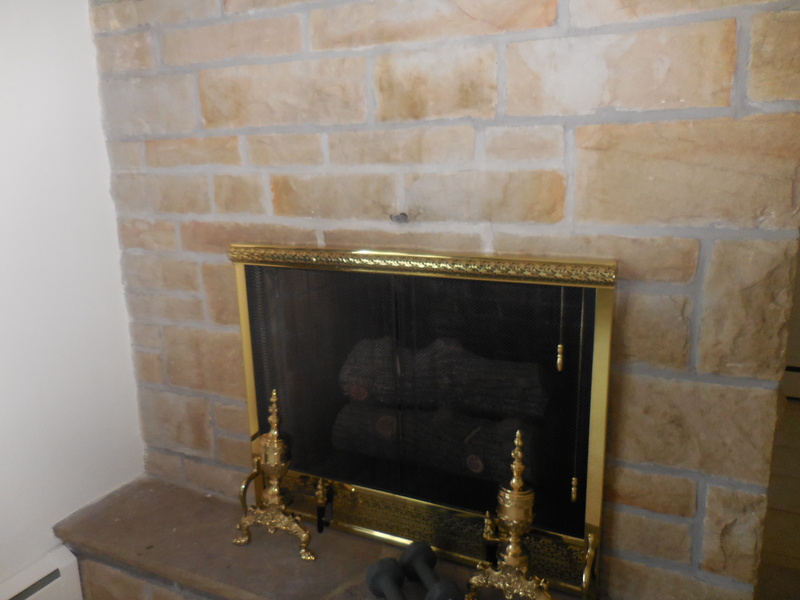 This is our fireplace before photo taken the day we moved into our home. I painted the brass fireplace screen and andirons with high-heat black spray paint. 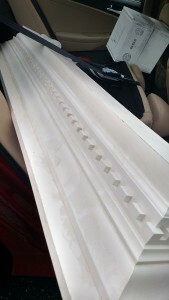 I wanted a mantel so bad and seriously looked into having one made –estimated cost was $500!! Not even going to consider that price for this “frugal” girl! I called my local consignment shop and asked if they had a 5 ft shelf..thinking that would work, I only need something to “decorate.” When I told the owner what I wanted it for, she informed me she had a mantel in the backroom for $50!! Did you just hear me squeal!!! It was the perfect size and exactly what I was looking for. Here it is loaded in my van to take home! I only had to put some dark wax on it to tone down the white paint…leaving the chips and all for that prim look! We are having a new gas fireplace insert installed in a few weeks, but until then I like to put electric mini-lights in there to give some illumination! Perfect for summertime! BTW the sleeping cat and puppy are fake, but they look sooooo real. They actually have batteries that make them look like they are breathing when they are turned on! 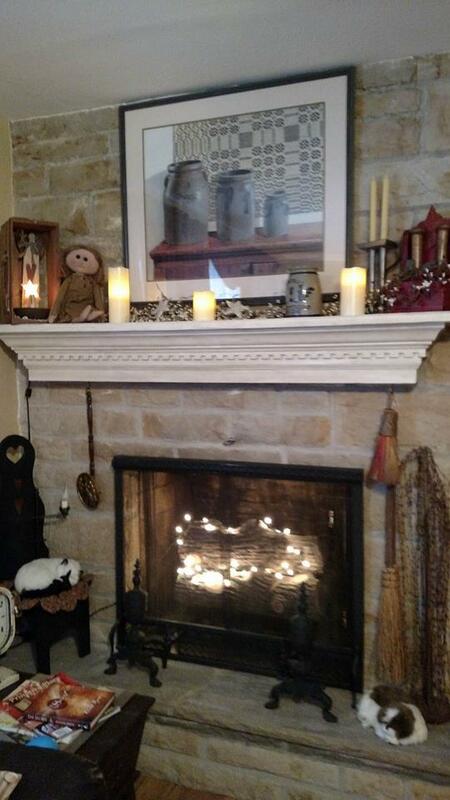 When I decorate, I always start with a clean slate…removing everything so I can get a feel for what I want to do. On a recent trip to Pat Catan’s I picked up these silicone amber lights for $6.99. 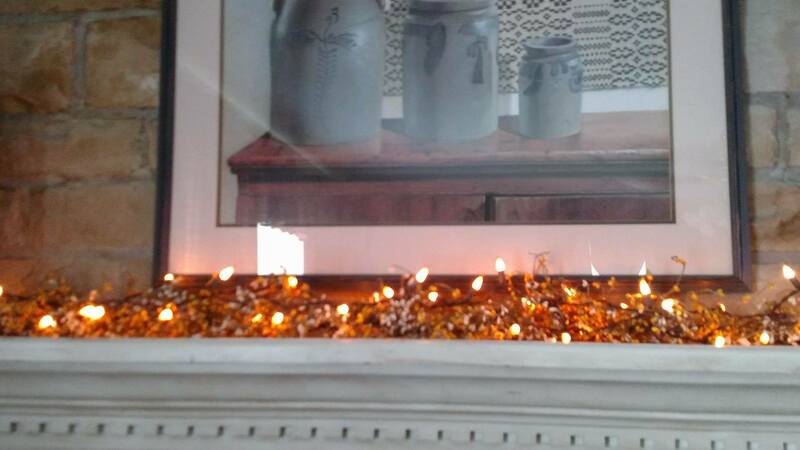 So they will intertwine among the pip berry garland to give some illumination to the mantel. I love it at night, it just creates a warm and cozy feeling! 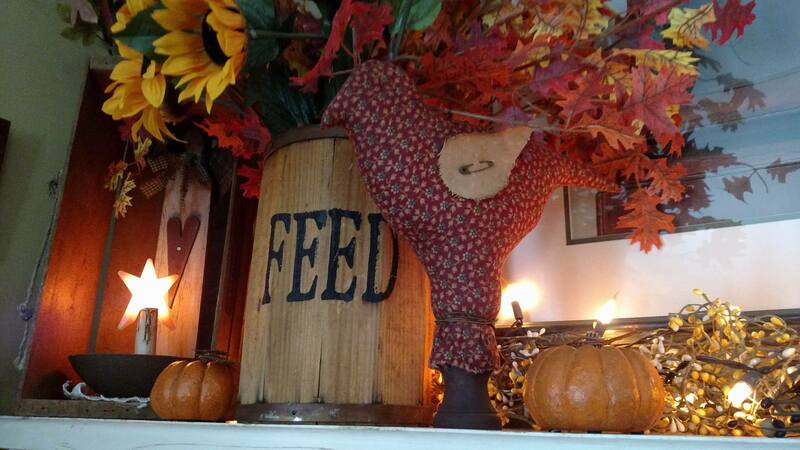 A few weeks ago, my son found this FEED barrel at Goodwill for $2.99 and he gifted it to me. 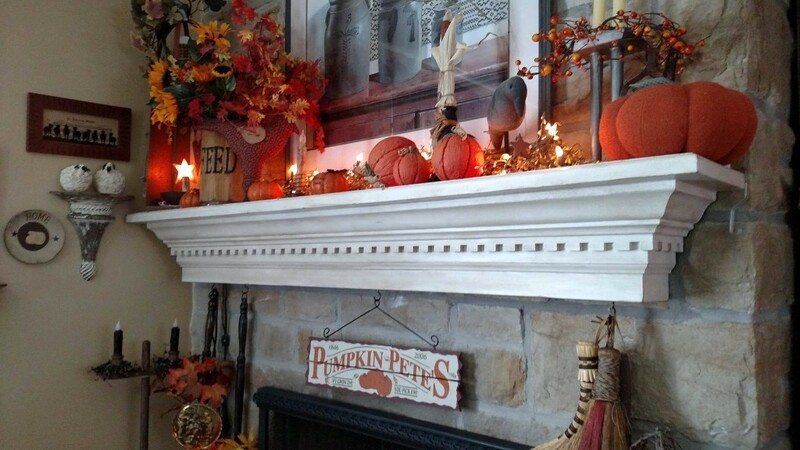 I think it looks great filled with silk fall leaves and silk sunflowers and it gives me some added height on the mantel. On the opposite end, I have a tin candle mold that I added a pip berry wreath to. In my area, we have a local indoor flea market and I found this stuffed crow for $5.99. I love how he has a star hanging from his beak. The set of pumpkins are ones I made about 15 years ago using Styrofoam balls and orange paper ribbon. Anyone remember when that paper ribbon was so popular? 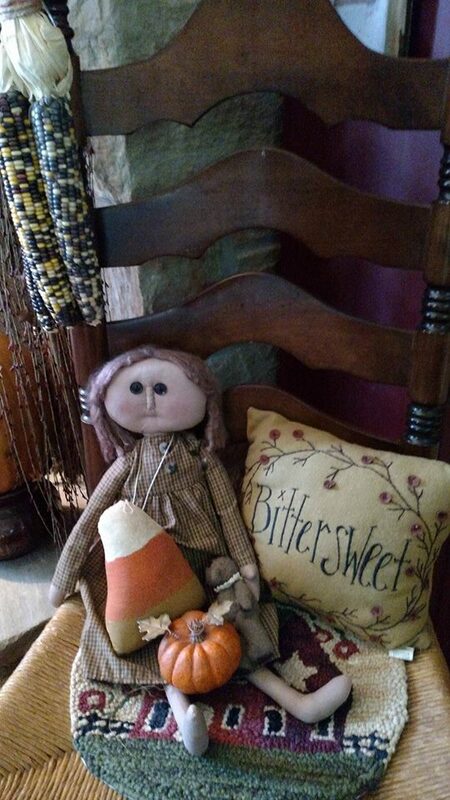 I made dolls and wreaths out of it, but the pumpkins are the only items I have kept through the years. Now, I just need to fill in between. 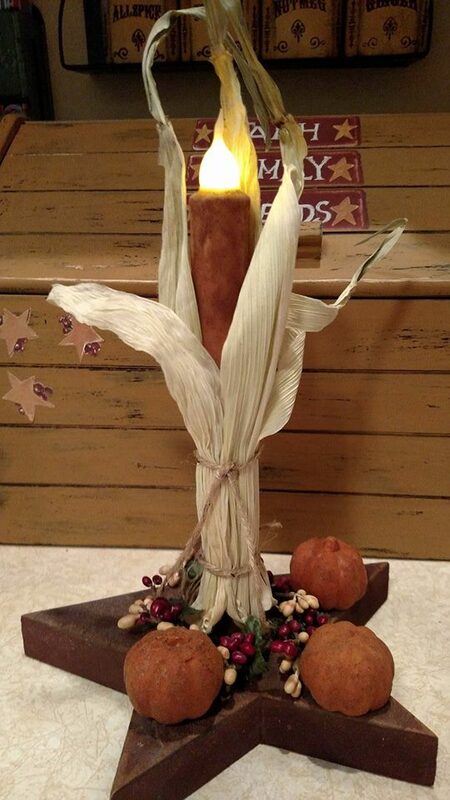 I took a battery candle and wrapped some dried corn husks around it and tied it with twine. It give my candles a fall-look without buying those expensive fall-looking battery candles you see in stores for $12.95 each. 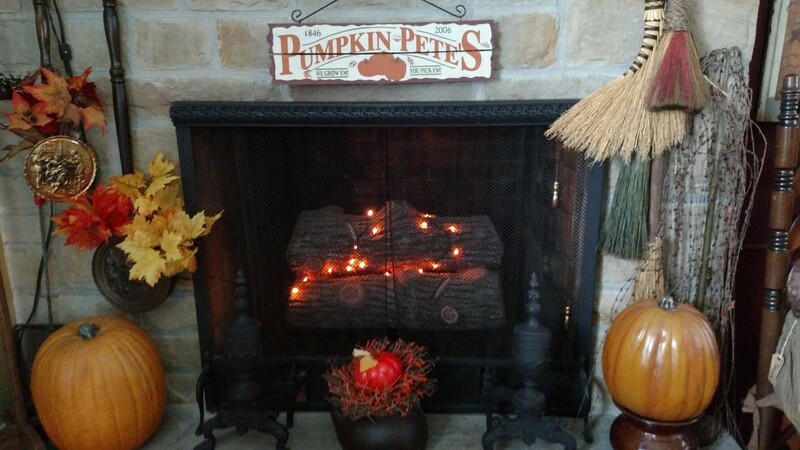 The “Pumpkin Pete’s” sign hanging below the mantel, I found at Goodwill for $2.99…the faux pumpkins on each side are also Goodwill finds. 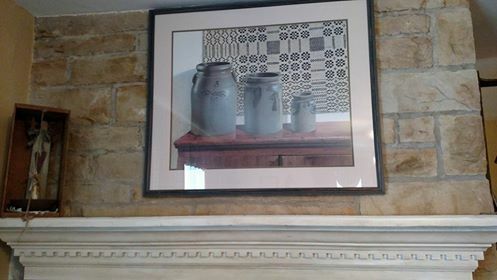 So, this my mantel completely decorated, what do you think? 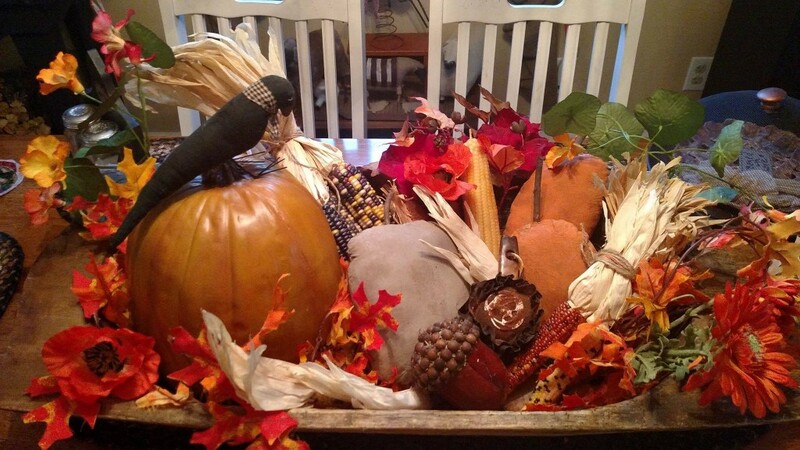 This is my large dough bowl/trencher that I have filled with fall decorations. I have it on my dining room table. 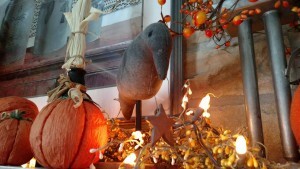 Another crow resting on top of this pumpkin! Black crows and fall just seem to go together, don’t they? This is Miss Sarah holding her candy corn! 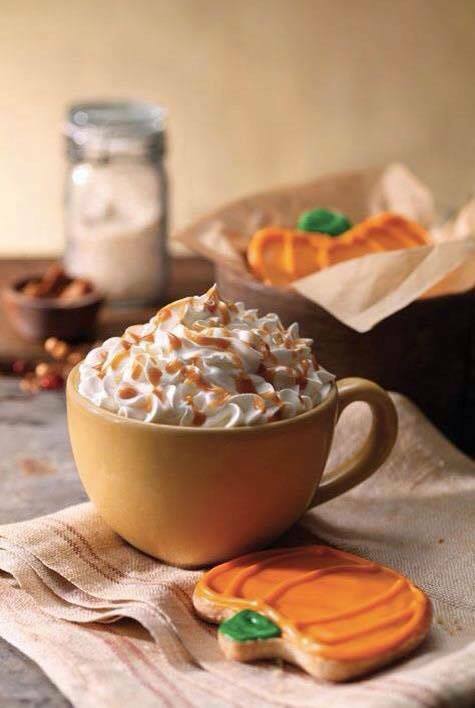 Now that my decorating is done, it’s time to sit back and enjoy a cup of Pumpkin Spice Coffee! My recipe for homemade Pumpkin Spice Syrup can be found here. Have I told you FALL is my favorite season of the year? Well, it is, I love everything about fall. 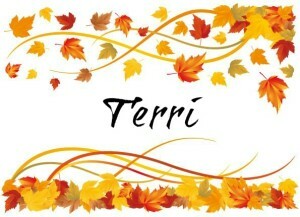 Apple cider, pumpkin “everything”, the crisp mornings and sunny days, the falling leaves, I don’t even mind raking them! 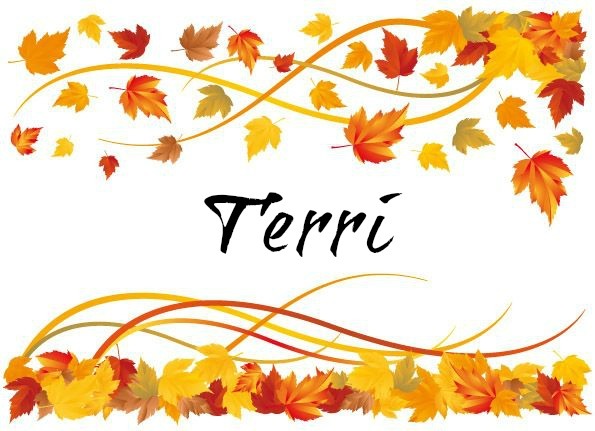 What’s you favorite season? Leave me a comment, I’d love to know! Thank you for visiting today, it was so nice of you to stop by!